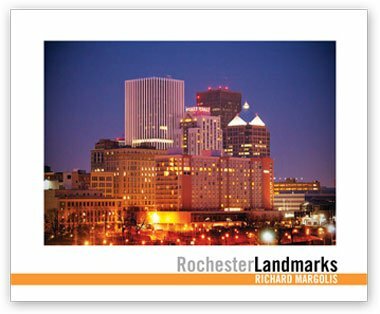 A catalog of Rochester, NY's architectural landmarks, public art, and big trees—the things that make this a terrific place to live! "This book combines several of my projects including landmarks, public art and big trees that all contribute to the Rochester culture and make this a better, I am tempted to say terrific, place to live. As we go about our lives we may not be conscious of them, but they do affect us. They give us a 'sense of place' that reminds us that we are part of a history that goes back a couple hundred years and like the buildings and trees that have weathered storms and time, we have a long future. That sense, although it is impossible to measure, exists, and that is why preservation is important. These landmarks link us to our past and they inspire us to do good work that will last well into the future."